Ever since it pioneered the sale of extended warranties for VCRs almost 25 years ago, VAC Service Corp. has boldly gone where no administrator has gone before. One can be forgiven for never having heard of VAC Service Corp. The company prefers to keep a low profile, operating in the name of its clients, who tend to be smaller and lesser known retailers and catalog merchants. That's not to say that VAC doesn't have any well-known companies in its extended warranty stable. Among the marquee names on its list are BJ's Wholesale Club Inc., J.C. Penney Company Inc., Meade Instruments Corp., and two subsidiaries of Staples Inc. -- Quill Corp. and Business Depot Ltd.
Look deeper, though, and the client list is filled with not only less famous companies but also less common types of coverages. It's hardly unusual to write service contracts for consumer electronics and home appliances. But how many administrators also write policies for telescopes or prescription eyeglasses? How many sell service plans for CB radios and DJ equipment? It's this taste for the unusual that has defined VAC Service Corp. since its inception. In 1980, company founder Jim Tucker bought an early video cassette recorder and realized that nobody was doing extended service contracts on them. At the time, VCRs were both huge and expensive, with lots of moving parts and a high potential for breakdowns. Tucker had some background in the automotive warranty business, having worked at the Ford Motor Co., and he thought the whole concept of extended warranties would cross over well into VCRs. So he formed what was then called the Video Aid Corporation and hired three people to staff its first offices in upstate Middletown, NY. Nearly 25 years later, VAC Service Corp. remains privately-held and Middletown-based, with Tucker serving as CEO and president. Many of its competitors have taken on venture capital financing. One sold shares of stock on the public market. Several are part of very large and well-financed insurance companies. But VAC has managed to grow organically, with Tucker still at the helm and still the sole owner. He's free to pursue his vision of being the best at the unusual, because he has neither stockholders nor investors to please. VAC also has pursued the Canadian market harder than most of its American-based competitors. The company entered the Canadian market in 1985, first with an office in Mississauga (near Toronto) and later with an expanded office and call center in Ottawa. It now employs 90 people in Canada and 275 in the U.S. Several of its largest clients are Canadian-based. VAC sold its millionth service contract in 1987; its five millionth in 1991; and its 25 millionth in 1999. VCRs, meanwhile, have become so small and so discounted that they're almost disposable. Repairs are rare and service contracts are considered unnecessary by all but the most insecure buyers. 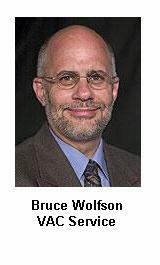 Bruce Wolfson, senior vice president of sales, bristled at the notion that VAC is a niche player that pursues unusual warranty opportunities. "I think we are a leader and an innovator in the industry," Wolfson said. "But instead of looking outside the box, which I think is so cliché, we take the box and we look deeper inside it. We look inside the box to see what else is out there, what makes us unique, and what we can offer the client that will make us important to them. 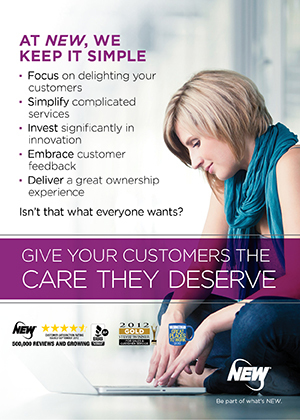 It's all about customer service." He said VAC is broadening both the types of products it covers and the types of coverages it offers for any given product. Since 1986, under a program called "Total Care," the company has been operating a kind of electronics advice line, helping consumers who have bought an extended warranty for any electronic item to ask questions about or find service for any other electronic item. But make no mistake about it. VAC covers televisions, stereos, washing machines, refrigerators, and dishwashers, just like the rest of its competitors. It's just that the unusual draws a little bit more attention. "As we keep carving out that niche and driving ahead, we look at all programs and products, and we evaluate them as they come in," Wolfson said. "We continue to keep looking in different directions inside that box." Some of its largest accounts include Harbor Freight Tools, a chain of storefronts for which VAC provides extended warranties on power tools and generators. Another is Overstock.com, an Internet retailer for which VAC provides extended warranties on electronics and computers. One of its oldest accounts is J.C. Penney, for which it administers extended warranties sold through the catalog. VAC also is now working with more and more manufacturers, covering not only product failures but also fielding installation questions. Wolfson noted that even those who think they have a handle on stereo amplifier set-ups can be stumped by some of today's multi-speaker and wireless options. When the manufacturer is in China or Korea and its owner's manuals prove unhelpful, VAC's call centers may be the only resource available. In the plasma TV industry, VAC has administered extended warranties for Taiwan-based Sampo Corp. for more than three years. In the TiVo box industry, VAC provides manufacturer's warranty coverage for Humax USA Inc., the American subsidiary of Humax Company Ltd. of Korea. VAC takes phone calls, troubleshoots, and helps with installation. The warranty covers labor for 90 days and parts for one year. The customer pays shipping and insurance to and from the authorized service center. For Telus Corp., the telephone company in western Canada, VAC provides extended warranty plans for residential telephones sold by the company. Wolfson said that so far, Telus is VAC's only telephone company account. It has yet to sign any electrical utilities. Just recently, VAC signed Electrovaya Inc., a Toronto-based manufacturer and developer of rechargeable batteries. Last year the company won a contract with NASA to provide battery power systems for astronauts performing spacewalks. It developed the Maya, an electric car with a range of 230 miles and a top speed of 80 miles per hour. The company also manufactures Windows-based tablet PCs that leverage this technology to provide six to nine hours of battery power. It is for these computer products that VAC will be administering the extended warranties. Also in Canada, VAC sells service plans for desks, chairs, tables, and office furniture sold by the Business Depot Ltd., now a subsidiary of Staples Inc. Besides the usual extended warranty coverages, VAC also provides coverage against stains caused by non-caustic chemicals caused by beverages and human fluids. It even covers foam resiliency and seam separation, which others might consider to be normal wear and tear. VAC's coverage usually begins on the 91st day, after the manufacturer's warranty has expired. In January, VAC will jump into the carpet warranty industry. 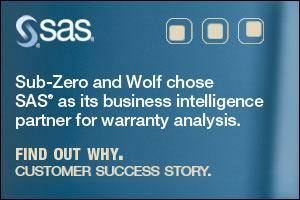 Wolfson said a manufacturer he cannot yet name is looking for an administrator of a warranty program that will cover stains as well as defects. He said he's also looking to bring VAC's office furniture plans from Canada to the U.S. for an unspecified retailer. For several heavily discounted product segments, VAC now markets replacement plans that cover all product failures that occur through normal usage. These make sense where rapidly declining product prices and rising labor rates have made repairs more expensive than outright replacements. Under such a plan, when a product breaks, all the customer needs to do is ship it back to VAC. In return, VAC will ship the customer a voucher they can take to the retailer where they made the original purchase. The voucher can be exchanged for a brand new unit or one of equivalent value. Unfortunately, the replacement unit won't be covered under the replacement plan -- only the original unit is eligible. Ironically, one area this type of plan impacts is the VCR industry where VAC got its start. Remember when VCRs cost a thousand dollars and were as big as a suitcase? Those days are long gone. This holiday season, many of your local retailers will sell sub-$50 VCRs and sub-$70 VCR/DVD units. At those price levels, repairs make no sense. Traditional extended warranties would not sell. But "free replacement" policies might. VAC long ago diversified from its VCR roots. For independent optometrists, VAC now administers service contracts that they sell alongside a new pair of glasses. Coverage also extends to accidental breakage of the frames. Wolfson said none of the major chains are part of the program. Instead, it's aimed at the small and independent eyeglass shops which don't usually have the critical mass or the financial resources to launch their own extended warranty programs. He said it may eventually grow to include some chains, but VAC likes to start small and see how a plan performs before rolling it out widely. For BJ's Wholesale Club, VAC runs a tire road hazard program. This is unusual in several respects. First, except for car audio service contracts, it's one of VAC's few forays into the automotive business. Second, it covers the product -- tires -- against flats and blow-outs caused by road hazards in addition to failures caused by manufacturing defects. And third, coverage is automatic, built into the price of purchase. "As long as the tire is mounted at BJ's, it automatically has the road hazard protection," Wolfson said. Wolfson said VAC got into the business simply because BJ's asked it to do so. "BJ's is one of our older customers," he said, "and they came to us with the request." VAC had been doing the retailer's electronics and appliances, so the business relationship was already in place. Therefore, despite VAC's reluctance to cross over into automotive lines of business, it did so for the sake of a longtime client. For Meade Instruments Corp., VAC covers the manufacturer's warranty for telescopes, both the optics and the global positioning system built into some of the latest models. VAC and Meade also sell an upgraded warranty plan that features on-site repairs and/or covers shipping and insurance costs to and from the repair facility. For Camping World Inc., a chain of 30 camping gear retail sites plus an online and mail order catalog operation, VAC sells extended warranties for items such as the awnings that attach to campers as well as the appliances and electronics within them. There are many more VAC clients who do business off the well-beaten path. Planet 3000 specializes in the sale of multi-standard televisions and VCRs as well as region-free DVD players. OSIM Health Focus (USA) Inc. sells massage chairs and BodyWave mattresses. Joyryde Inc. specializes in DJ equipment. All the members of the Mobile Enhancement Retailers Association, who sell car audio and other gadgets, are eligible to sell VAC extended warranties. And Scanner World USA sells VAC extended warranties on CB radios and police band scanners. It's not as if VAC is selling extended warranties for something freaky, like puppies or the weather during your vacation in Florida. All of these items are consumer products, and once you hear that VAC is covering them, a natural reaction might be to ask, "why didn't we think of that?" And since its inception, when company founder Jim Tucker noticed that nobody else was covering VCR machines, that has been the signature of VAC Service Corp. It doesn't go where nobody else would dare go, but it frequently is the first to find a new niche for extended warranties. Effective Jan. 1, Barclaycard UK to discontinue automatic extensions of warranties for merchandise bought with its credit cards. Exit linked to onset of new Financial Services Authority regulations covering insurance. AMR Research says auto manufacturers embracing Early Warning Systems can save billions by reducing the time between determining a defect and applying the corrective action. Navistar International Corp. predicts record fourth quarter earnings, improved margins as 2003 warranty problems with 6-liter V8 engines recede into history and truck sales soar. CEO of Platinum Warranty Corp. interviewed on Terry Bradshaw's Winner's Circle program, video posted for online download. Armored jeeps used by Canadian soldiers in Afghanistan develop cracks in the floor, warranty claims against DaimlerChrysler expected. Gulf Warranties, 66% owned by the Bahrain-based Arab Insurance Group, turns ten years old and launches a business service division. Epson launches Aculaser C1100 color laser printers in Singapore with special promotional two-year on-site warranty until year's end; units purchased after Jan. 1 get only one year. Joint venture of Faber SpA and Heatkraft introduces lifetime warranties on kitchen chimneys, claims to be the first and the only appliances company in India to do so. Bridgestone/Firestone Canada Inc. and Michelin North America (Canada) Inc. both say they're dropping road hazard protection from their passenger-car and light-truck tire warranties, effective Jan. 1. Missouri's Rapid Response Team will help about 100 employees of Aon Innovative Solutions Inc. who will lose their jobs when the Chesterfield, MO facility closes in January. Carleton Inc. and the StoneEagle Group work together on electronic signature solutions for auto dealers. 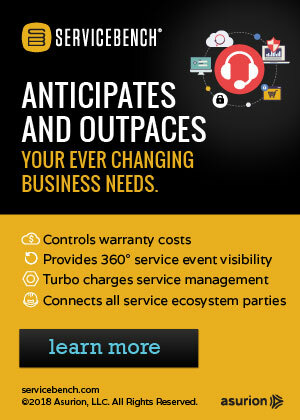 3Com's warranty program now lets customers order replacements in advance for SuperStack and OfficeConnect product lines, speeding shipments to next day in most cases. Separations, Blow-outs, and Fallout: A TREADise on the Regulatory Aftermath of the Ford-Firestone Tire Recall, by Kevin M. McDonald, Volkswagen of America Inc.
IBM Global Services broadens its on-site warranty service to cover all of New Zealand, and not just the metropolitan areas previously covered. U.S. automakers recall 25 million vehicles in 2004, surpassing record set in 2000, NHTSA counts 462 individual recalls, TREAD Act cited. HP launches a PC Security initiative to protect consumers from viruses and spyware; Web site augmented by online training, email and instant messaging responses, and security software discounts. Business First newspaper ranks Service Net Solutions LLC in its "Fast 50," list based on revenue growth rates during the past three years. Beginning Jan. 15, 2005, dealers who are not registered with the UK's Financial Standards Authority or as an agent of an approved insurer will be prevented from selling insurance related products in the UK such as mechanical breakdown warranties. 4C Solutions Inc. licenses iWarranty software to International Truck Corp. to help manage their extended warranty and service contract activities. Appraisal Institute researchers find that home warranties do not impact the price of homes sold with them.